The Evil Dead - 4K UHD Review - ReDVDit! 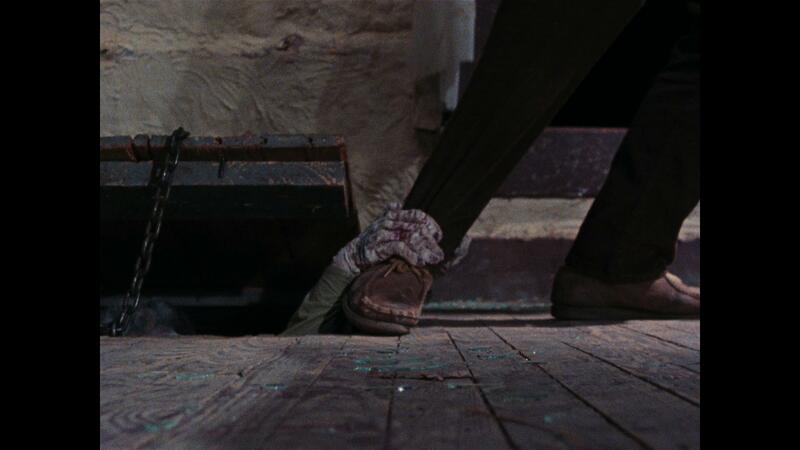 The Evil Dead is a 1981 American supernatural horror film that was written an directed by Sam Raimi and executive produced by Raimi and Bruce Campbell, who also stars alongside Ellen Sandweiss and Betsy Baker. The film focuses on five college students vacationing in an isolated cabin in a remote wooded area.After they find an audiotape that releases a legion of demons and spirits, members of the group suffer from demonic possession, leading to an increasingly gory mayhem. Raimi and the cast produced the short film titled Within the Woods as a “prototype” to build the interest of potential investors, which secured Raimi $90,000 to produce the film. 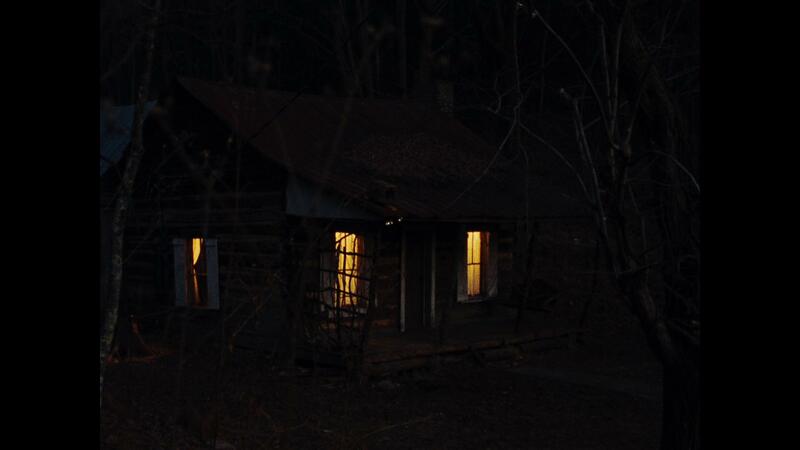 The film was shot on location in a remote cabin located in Morristown, Tennessee, in a difficult filming process that proved to be extremely uncomfortable for the cast and crew. The low-budget horror film attracted the interest of producer Irvin Shapiro, who helped screen the film at the 1982 Cannes Film Festival. Horror author Stephen King gave a rave review of the film, which helped convince New Line Cinema to serve as its distributor. Though a meager commercial success in the United States, grossing just $2.4 million, it was a bigger success internationally, grossing more than $27 million for a worldwide gross of $29.4 million. Both early and later critical reception were universally positive and in the years since its release, The Evil Dead has developed a reputation as one of the largest cult films and has been cited among the greatest horror films of all times. The Evil Dead launched the careers of both Campbell and Raimi, who would collaborate on several films together throughout the years, including Raimi’s Spider-Man trilogy. The film has spawned a media franchise, beginning with two sequels written and directed by Rarimi, Evil Dead II in 1987 and Army of Darkness in 1992, as well as video games, comic books, and a television series. The film’s protagonist Ash Williams is regarded as a cult icon. The fourth film, serving as a reboot, remake and sequel, was titled Evil Dead and released in 2013. Raimi co-produced the film alongside Campbell and the franchise producer, Robert Tapert. As with the other films, the follow-up television series Ash vs Evil Dead was created and produced by Sam and Ivan Raimi, with Campbell also executive producing. 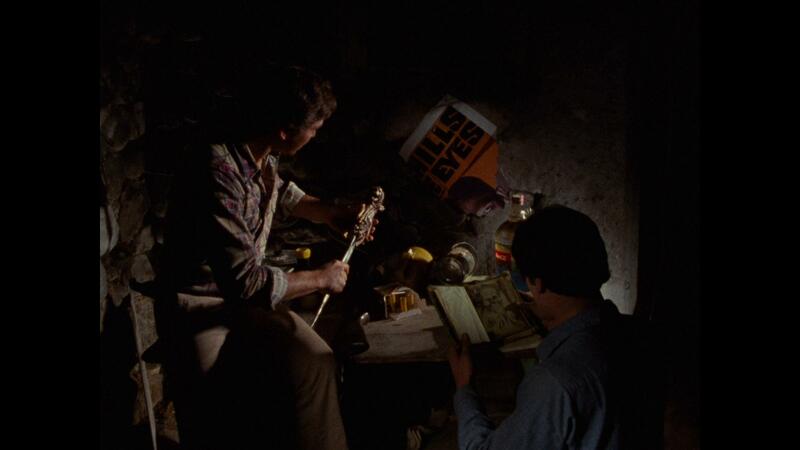 The Evil Dead is a movie that took some time to grow on me personally. Being that it’s a low-budget, graphically violent movie, it just wasn’t something that I was into at first. But, as I got more and more into the genre, I gained a better appreciation for this movie, the inventive pieces that it introduced to the film world, and the general comedic awesomeness that Bruce Campbell has given to the cinematic world. Re-visiting this on 4K UHD the other night is something that, while I wasn’t originally anticipating it, was certainly a welcomed experience after this arrived at my doorstep. 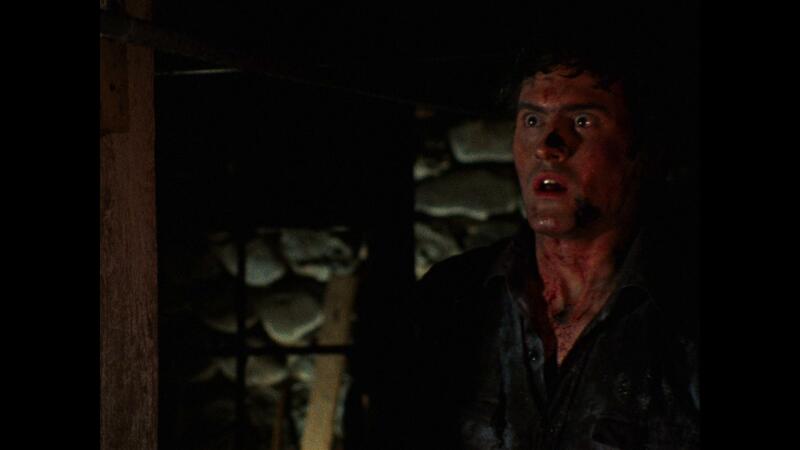 Made available to us in Native 4K, The Evil Dead gives its viewers an absolutely astonishing visual presentation that was one that I didn’t really see coming. The finer details are more distinguished, allowing for some additional details to be noticed for the first time. The film grain allows for a more natural feeling to the overall cinematic experience, really making this feel like my mind had originally perceived as I’d seen it throughout the years. 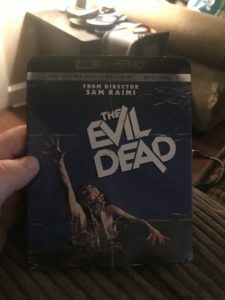 Packaged with a freshly remastered Dolby TrueHD 5.1 mix, The Evil Dead gives its viewers that are able to make use of it through their home theater system an absolutely all new experience that did a phenomenal job at putting my wife and I right into the middle of everything. Dialogue is clean, allowing for everyone to be heard and understood, and the elemental and surrounding audio not too powerful that they distort the overall experience. 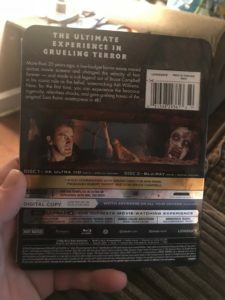 The 4K UHD release of The Evil Dead comes packaged in your standard two-disc 4K UHD amaray case. Within that case is the new 4K copy of the movie as well as the standard Blu-ray copy. Both discs feature the same piece of artwork between the two and matches that of the case art. There is also a digital copy redemption pamphlet that’s been included for the various streaming platforms, as well as a slipcover that’s been included during the original pressing of the release that features the same piece of artwork that’s been included on the case. It certainly was a nice experience to sit down and re-visit The Evil Dead with this freshly remastered presentation. Both audibly and visibly, this release really packs a hell of a punch, allowing for it to be a nice feature piece in anyone’s 4K collection. The special features really could have been handled a lot better as they could have included a lot more in celebration of this release. If you’re picking this up expecting there to be more supplemental footage, you will be disappointed. But, I digress… If you’re considering this release for your collection, I would definitely recommend grabbing it if you’ve got a 4K setup, or are planning to get one in the future. The Evil Dead is available on 4K UHD today. Our friend Andrew at AR_Media shared his thoughts on this release too. Note: This Blu-ray was sent to us for review. This has not affected our judgement or editorial process in any way. Please contact us if you have any questions regarding this process. Movie lover, technophile, moderator of /r/dvdcollection and just your average, everyday movie viewer. Haven't heard of our subreddit? Check us out! We are a group of niche collectors who love anything and everything about film. We welcome all cinematic media and not just DVDs and Blu-rays! Dig out your VHS, Laserdisc and Beta Max. If you’re willing to share, we’re willing to click. So, come hang out with us! ReDVDit is actively seeking business partnerships. We are looking to branch out our services. If you would like to pursue an opportunity with us, please contact our Director of Marketing at contactus@redvdit.net. ReDVDit! © 2019. All Rights Reserved.